I am literally so excited to tell you about this HUGE giveaway myself & Rosie from Hearts,Heels & Handbags are hosting to celebrate OPSH.com launching in the UK!!!! We are giving away flights to London for you and your best friend (EKKKK) plus an incredible Opsh travel pack including loads of Benefit & eShe goodies!! 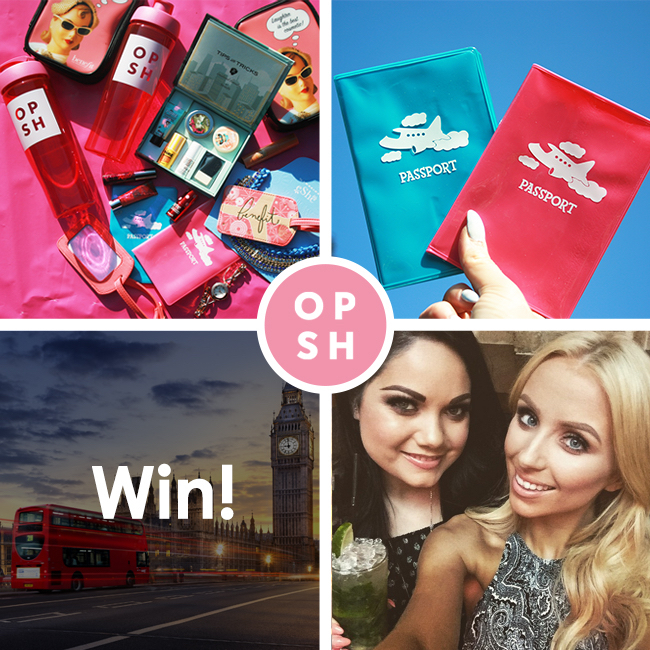 To enter simply sign up to Opsh by emailing win@opsh.com and following the @opsh instagram page! Tag your best friend to enter too to double your chances! Check out my Instagram or Rosie's if you have and questions. I am so excited for this giveaway. Good luck dolls!